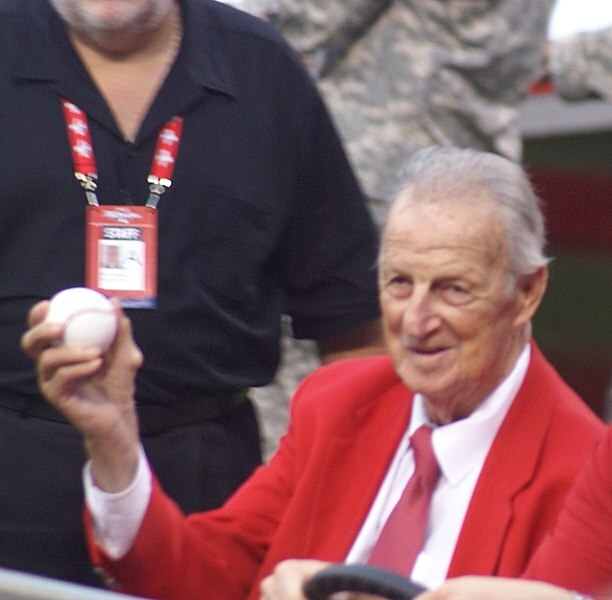 I was away all day, and when I got home this evening, I learned that baseball great, Stan Musial, died today at the age of 92. Every time I think of him, I remember one of those glorious days of my childhood. In the early summer of 1963, some of the dads took some of the kids to Candlestick Park to watch the San Francisco Giants play the Saint Louis Cardinals. I had seen some of the greats of the day hit home runs – players like Willie Mays and Willie McCovey, but I’ve never before or after seen a homer like the one Musial hit out of the park – literally – that day. He was a left hander with a funny looking stance, with his knees together, almost touching, but the ball he hit that day cleared the right-field bleachers, sailed way above them, out to the parking lot beyond. People were shaking their heads like they couldn’t believe what they’d seen. Though the Cards were the home team’s opponents that day, everyone rose to their feet to clap as Stan rounded the bases. He retired at the end of the year with numerous major league records and was inducted into the Hall of Fame in 1969 on the first ballot. So what’s the big deal after all these years? Just childhood nostalgia? To some extent, maybe, but there is something more. In one respect he reminds me of my father – both were born in 1920 and both served in the navy in WWII. But more than that, it’s a “greatest generation” thing. The day I saw Musial hit his home run, back in the era of my innocence, was also something like a time of national innocence. This entry was posted in Current Events, News, Spots and tagged Events, News, Sports. Bookmark the permalink. Oh Morgan, I hadn’t read the paper yet, and learned through your blog that he had died. I grew up in St. Louis and once a Cardinal fan, always a Cardinal fan. I have an autographed baseball (when they really did autograph them) from Mr. Musial. He was not only an extraordinary ball player, but a fine human being. A real hero. Someone to always remember. What a treasure that ball is! Thanks for your comment. It’s great to think of heroes who stand the test of time. I guarantee every baseball announcer will do a tribute to Musial on opening day. He was a great. I love your story. As a Giant’s fan, I can see our fans cheering on the opposing team’s slugger,out of the respect he’s earned. Thanks. From all the things I have heard, his character was a match for his accomplishments on the field. I never saw Musial play, but from everything I’ve ever heard about him he was one of the best men to ever play baseball. 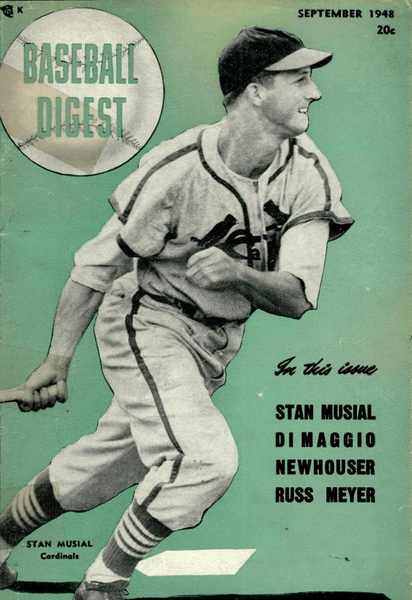 Since I don’t have a personal story about Musial, I’ll share another story that I’ve heard involving him. When Albert Pujols was playing for the Cardinals, someone involved with the team (I would assume an announcer) started to call Pujols El Hombre – which is spanish for ‘The Man’ – both in respect to his ability and as a nod to Musial. After Pujols learned more about Musial, he asked that people stopped calling him El Hombre because he respected Musial and didn’t want the same nickname. Good one, Adam, and a story I read on one of the memorial essays in the past day, so I believe it. We are a baseball family. I enjoyed your memory of that day. I didn’t see a major-league game until I was an adult, so can’t imagine what a thrill that day must have been for you. It is amazing what was done without any magic elixirs of the steroid era. Thanks for sharing your story. From all the accounts that have popped up online in the last few days, from sports writers as well as people who knew him, Musial is depicted as a really good guy as well as a superb baseball player.